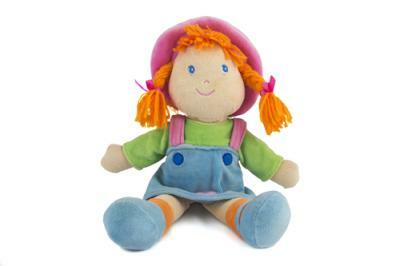 Remember the Cabbage Patch Kids, those dolls that became a craze during the 1980s? There was a time when the dolls were in such demand that there was a constant shortage on toy store shelves and people fought in the aisles to get their hands on the limited supply. The 1983 holiday season saw violent outbursts at major retailers and smaller chains alike. Some stores tried to find clever ways to control crowds, but efforts largely failed, leaving gobs of people empty-handed and frustrated. Eventually more dolls became available and demand dropped. In time, the violence subsided and the stories of baseball bat-wielding parents faded into the distant past - although some remnants of those actions can be seen in Black Friday around the country. Things have a greater tendency to go amiss when supply and demand are out of whack. Such is the case for the bank M&A market, where there continues to be a sizeable imbalance between banks that say they want to acquire another bank and the relatively few that own up to wanting to sell. In fact, according to the Bank Director's 2015 Bank M&A Survey, 47% of bank executives said they plan to purchase a healthy bank within the next 12 months. Unfortunately, that compares to a mere 3% who plan to sell their bank. When asked about barriers to selling the bank, more than 67% of executives say the board and/or management want the organization to remain independent. We wonder if these banks would strongly reconsider selling to the right buyer at the right price. Now that valuations are rising, we suspect some may be doing just that. But we also wonder if the payback timelines, particularly for institutional investors like private equity firms which are often in the 5Y range, limit how much investors are willing to pay. Certainly there's already been significant consolidation in the community banking industry and the biggest net effect has been on the very smallest banks and the largest ones. The number of institutions with < $100mm in assets declined 85% between 1985 and 2013. Meanwhile, banks with more than $10B of assets have seen their numbers triple during this time period. There's no doubt that it's a hard time to be a community bank. Regulatory costs continue to mount, competition from large banks and non-bank providers are fierce and growing, and it gets harder and harder to compete. One potential catalyst for merger activity could be found in the new Basel III rules and how they will be interpreted by regulators. Basel III requires banks to set aside more capital for certain loans, and in particular for high volatility commercial real estate (HVCRE). Many banks we talk to are not sure which loans they have on the books will be considered HVCRE and few seem to be focused on it. Consider the impact a regulatory team searching with a fine-toothed comb could have, if they found loans that should be considered HVCRE but were not in the calculation of capital. After those loans surface, even if the last exam was only a year ago, regulators are likely to make the bank retroactively re-file its call reports. After all, if there is one thing regulators want to be sure is accurate, it is the capital of the bank. Another rule that could increase M&A activity has to do with the new Fed rules, finalized in April, that allow more small banks to exceed debt limits when financing mergers and acquisitions. Depending on the part of the country where you live, you might also see even more than average M&A activity. Some of the states tagged as most likely to see consolidation at elevated levels according to Barron's include: FL, PA, OH, NC and VA. It will be interesting to see how the year shapes up for M&A, how frothy prices get, how many banks who said they didn't want to sell end up selling, and how many who thought they would be actively buying realize how expensive it may be. While we don't expect to see violence reminiscent of the Cabbage Patch Wars of the 1980's, competition to buy banks may pick up. Treasury yields rocketed 9 to 11bps higher as the ECB saw progress on Greek debt negotiations. Durable goods and home prices will occupy the market. The NY Times reports Goldman Sachs has announced plans to offer consumer loans online beginning next year, as it seeks to compete with Lending Club and Prosper. A survey by Gallup finds the average annual customer retention rate for depository institutions after a bank merger is 92% vs. 95% for the overall industry average. The survey found retention can be boosted when the acquiring bank has a higher customer engagement (94%) than when it has a lower engagement (90%). Research by Moebs Services finds overdraft fee revenue at banks, credit unions and other financial institutions has declined by 4% this year vs. 2014. Overall, overdraft fees account for about 6% of earnings at banks with $10B+ in assets. A report by Charles River Associates analyzing the impact of payday loan proposals by the CFPB finds payday lender revenues would decline 82% on average and 83% of lenders analyzed would suffer losses. New rules would place restrictions on provisions around certain loans, reduce fees and limit structure. Bankers will likely cheer these changes. FINCEN indicates Bank of Mingo ($96mm, WV) will pay $4.5mm in civil money penalties to settle claims it willfully violated BSA and had severe and systemic failures in many aspects of its AML program. The bank reportedly processed millions of dollars in suspicious cash transactions. Retailer Gap said it will close 175 of its 975 US stores (18%) and lay off 250 employees as it seeks to boost performance. The closures do not affect its other brands Banana Republic, Old Navy, Intermix and Athleta. Banks may want to check exposures within their retail or real estate portfolios. A CNBC survey of Wall Street economists finds 92% expect the Fed will raise rates this year (to 0.50%) and by another 100bp in 2016 (to about 1.50%).